We need your support to give the gifts of care, play, and hope to children awaiting their forever homes. The ability for children living in group homes to play, celebrate their birthdays, or receive the care and attention of a caregiver, is often constrained by limited resources. With your support, Spence-Chapin can provide children awaiting families in South Africa with a devoted caregiver, a space where they can run and play, and the joy of birthday and holiday celebrations. Help us grow our Granny Program! While birth parents work with a Spence-Chapin counselor on a plan for the future, newborns stay with volunteer families in our Interim Care Program. These families provide around the clock nurturing and support for the babies in their care. Help a child receive the best possible start for a bright future. Help a child with special needs go home with a loving, permanent family. Our Special Needs Adoption Program connects children with medical conditions to families that can provide them with the care they need in a stable environment. Your gift enables us to broaden our outreach to potential adoptive families, guarantee that the children are well-cared for while they await their forever home, and waive all professional services fees to adoptive families so they can focus their resources on medical care and services for their new family member. For information on how to donate via Wire transfer, Stock transfer or Planned Gift, please contact Matthew Kaal at mkaal@spence-chapin.org. DAF Direct is a tool that allows our donors to recommend grants from their donor-advised funds, which are known as ‘DAFs,’ directly from our website. Neither you nor Spence-Chapin incurs any transaction fees when accessing this quick and convenient tool. If you have questions about using DAF and if it is the best option for making your donation, please email mkaal@spence-chapin.org. Celebrating a birthday or adoption anniversary? Create a fundraiser on Facebook to support Spence-Chapin. It's a fun and easy way to help raise funds and awareness for all of the programs and services Spence-Chapin provides to families and children. Download our step-by-step tutorial, or contact our Communications Manager Christine Pohl with any questions at cpohl@spence-chapin.org. 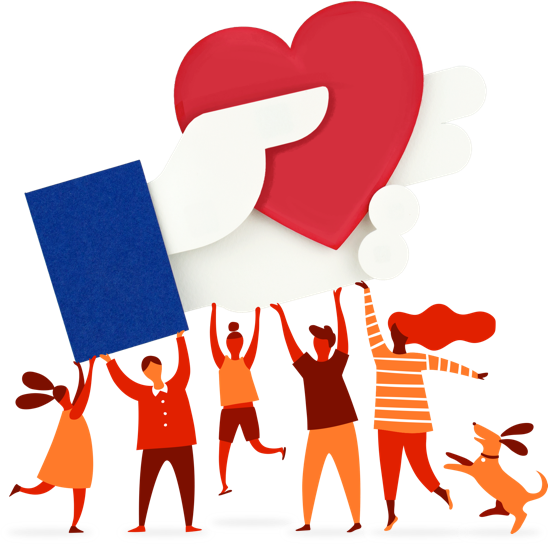 Many corporations have matching gift programs which will allow you to leverage your support and increase your charitable gift. Please see a list of matching gift companies. If your company has a matching gift program, be sure to include an appropriate form with your contribution. If your company is not listed, you can find out from your human resources office if your employer offers a matching gift program. Matching gifts often double and sometimes, even triple your donation! Support Spence-Chapin every time you shop online by signing up for AmazonSmile. Every time you make an AmazonSmile purchase, Amazon.com donates a portion of the purchase price to Spence-Chapin to support our programs for children and families. Learn more about this program at smile.amazon.com. Most recent audited financial statement and most recent form 990. Spence-Chapin is committed to the privacy of our donors and community members and has put systems in place to ensure their information's security. We do not share or sell donor's personal information, nor do we send mailings on behalf of other organizations. We use a secure database to store donor information and follow all legal and ethical obligations to ensure that donor's personal information is respected. If you have questions about how Spence-Chapin handles your personal information, please contact Matthew Kaal at mkaal@spence-chapin.org. View Spence-Chapin 2017 Annual Report here. The 1908 Society recognizes a special group of supporters who contribute at or above $1,908 annually. Throughout the year, Spence-Chapin acknowledges the generosity and commitment of these members, culminating with a premier Annual Gathering to honor these esteemed supporters.